Ministry state of Antiquities (Seized Antiquities department office at Luxor Airport) foiled an attempt to smuggle 19 objects of different sizes and dated back to different historical eras. The captured pieces vary between ushabtis, faience,ushabtisi , ostraca, manuscripts including an English version of a Bible dated back to 16th century and various coins. The objects include a pottery pot on 9cm with a human face depicted, 5 pottery and green faience ushabti with hieroglyphic inscriptions and depiction of Isis which are dated to late pharaonic times. 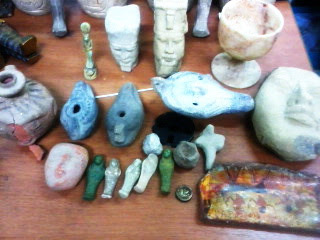 The objects are protects and fall under the antiquities law No. 117 for 1983 and the Bible is subject of culture property which is protected by law 114/1983. Mr. Hassan Rasmi (Head of the central administration of ports) said that during the Committee examination of the seized artifacts, the wife did throw and broke 3 lanterns trying to destroy the objects and the police force managed to control her. The film was screened at the cultural centre at 7pm on Friday 24th February and there were big local crowd watching the film along side with the film makers from different African countries. 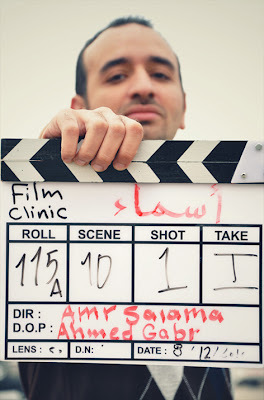 Asmaa, The 2011 production was a success from the moment it was written as the subject itself is a taboo in the Egyptian cinema. The film makers were trying to get a message when could be summarised in the sentence that the main character Asmaa which was played by the talented actress Hend Sabry said at the end “I am not going to die of what I have but you are going to die of what you have”. Asmaa was in fight with ignorance and prejudging in the society and the film maker wanted the viewer to get the message that the HIV itself might not kill but ignorance will definitely does. Asmaa left the colorful comfort of her rural home for the city and is now struggling to raise her teenage daughter and nurse her aging father. The young woman is careful around her neighbors and colleagues; for fear that her reputation will be sullied. She suffers from a gall-bladder problem, but no doctor is willing to operate because she has a secret: she is HIV-positive. 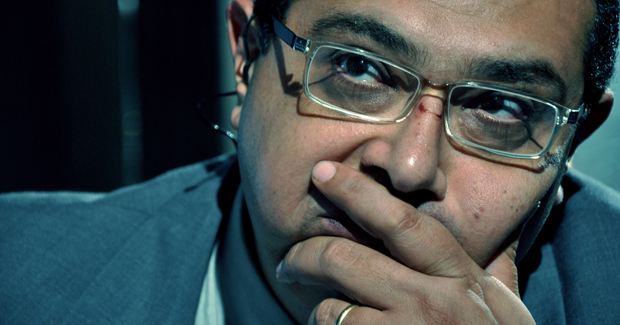 He won critical acclaim for his debut feature, On a Day Like Today, in 2008. Salama has directed several commercials, music videos, documentaries and short films. He is the book author of A Kiosk Guy, A Journey in Search of the Handlebars, and is one of the filmmakers behind the documentary Tahrir 2011: The Good, the Bad and the Politician (2011). 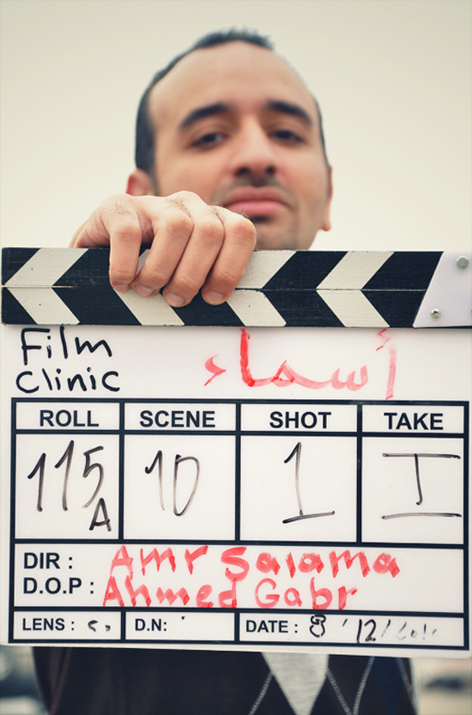 Asma'a is his second feature.